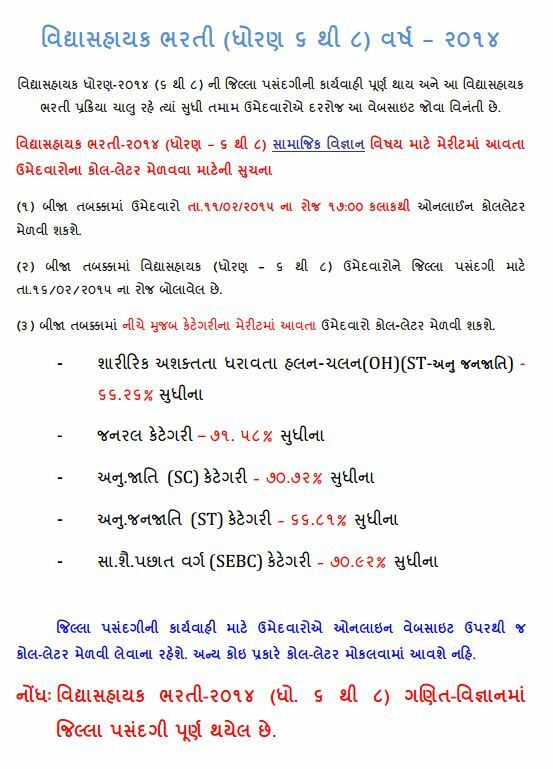 VS Bharti Social Science Second Round Merit & Call Letter Available on Website www.vidyasahayakgujarat.org. Education Department Government of Gujarat has recently released Vidhyasahayak Bharti (Std 6 to 8) Social Science 2nd Round Merit List and Call Letter. Second Round District Selection will be held on 16-02-2015. You can download final merit and call letter form below link.